The Blustream SW41AB-V2 is a 4-Way HDMI switch with integrated audio breakout. The V2 switch supports full HDMI 2.0 and HDCP 2.2 with video resolutions up to and including 4K @ 60Hz 4:4:4. 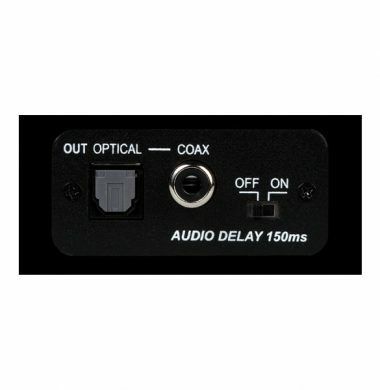 The CYP AU-D4T, Analogue to Digital Audio Converter with Audio Delay is is designed to convert analogue stereo audio to digital Coaxial and Optical (Toslink) outputs simultaneously as the AU-D4 does, but with the addition of a fixed Audio delay. 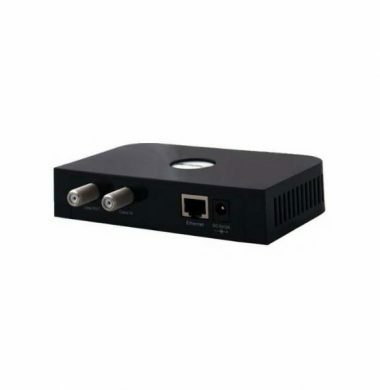 If you need to connect your Smart TV to the Internet or want to connect your games console to the Internet or maybe want a LAN (local Area Network) in your home to connect up computers, printers, etc to your broadband. The Asheridge ASH-EOC-03 Echobox could be the solution for you. When adding a multiswitch to your TV distribution system, to ensure you can have a freesat signal available at each TV point around your home you ideally need to use two runs of satellite-quality co-ax cable. In an existing arrangement it is not easy to add this second run of cable; you need to send both the satellite (freesat) signal from the multiswitch, and the existing terrestrial TV signal, over the same run of co-ax. The combination of a Global Loftbox Expander at the TV distribution amp/multiswitch location and a Global DIP2-DC Diplexer allows you to do this. The majority of Sky digiboxes come with a second RF output to allow digital satellite programmes and looped-through UHF signals to be distributed to a second TV, or to a multi-point distribution system in conjunction with a suitable amplifier. This second RF output is also equipped to accept infra-red remote control commands sent ‘in reverse’ from the remote viewing location(s). 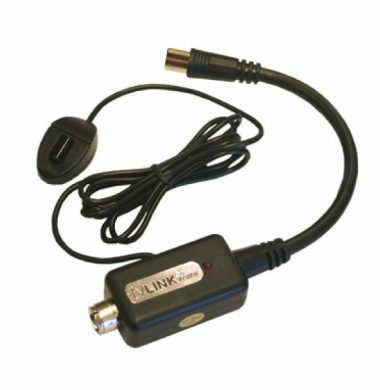 This allows a remote digital satellite viewer the convenience of full control of the digibox. 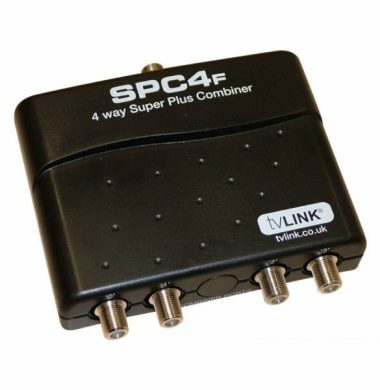 The Global SPC4F Super Plus Combiner (with satellite F type connectors) solves the problem of controlling multiple Sky boxes on one home TV distribution system. The Global SPC4 Super Plus Combiner allows complete control of up to four Sky digiboxes on the same RF system when used in conjunction with an IR relay system such as the Global Sky mini tvLINK Pro. The Global tvLINK By-pass kit routes the Infra-red signal around an old style existing UHF amplifier. 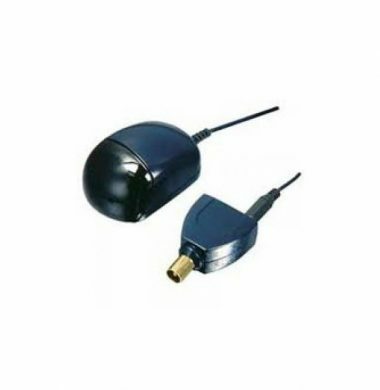 Fully compatible with the Global tvLINK System, the Global By-pass Kit allows the tvLINK IR return signal to route around another manufacturers distribution amplifier. 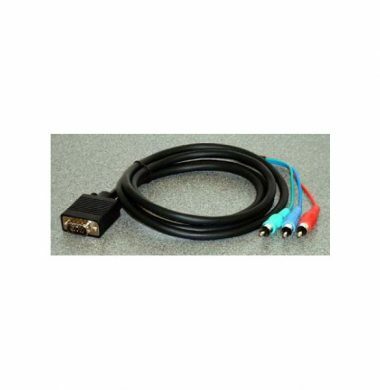 The Kramer VGA to 3 RCA phono breakout cables are used when a source or display can be configured to send or receive either VGA or Component video signals. For example Panasonic 11 series eg TH-42PH11BK, TH-50PF11BK or TH-65PF11BK have VGA inputs as standard that can also accept component video on the same connector. 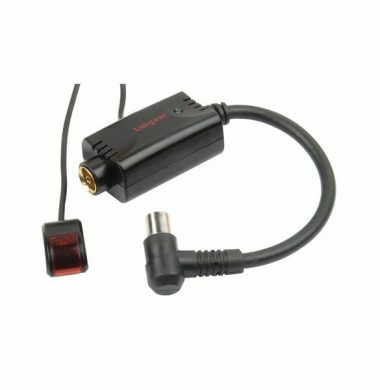 Using this adaptor cable allows you to input component video without the need to purchase a component video terminal board, or to have two sources of component video into the one screen if you do have the terminal board. 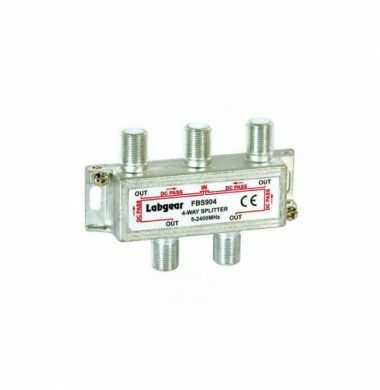 The Labgear LMS516Q multiswitch facilitates the distribution of TV and Satellite signal from one single dish and terrestrial aerial. Same range as FBS402. 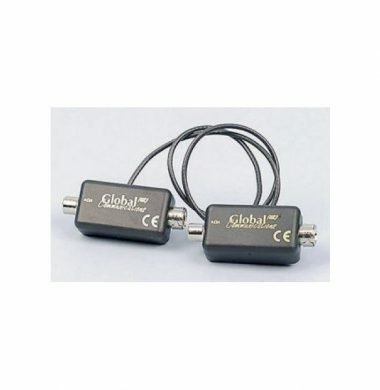 This handles frequencies from 5 to 2400MHz, making it suitable for situations involving undecoded Sky or Freesat signals. Like the FBS402 this has DC pass through on all ports but only in one direction – from the six split ports back to the single input port. The FBS126 unit has a 11.0dB loss between 40 and 1000Mhz, rising to 16.5dB at 2300Mhz. 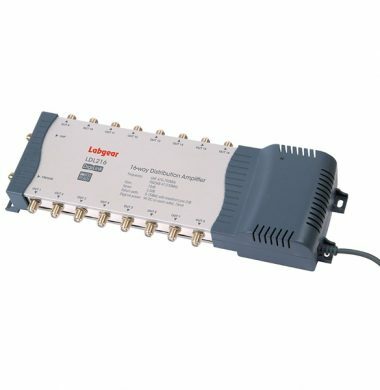 In situations where higher bandwidth is required, use the FBS402. 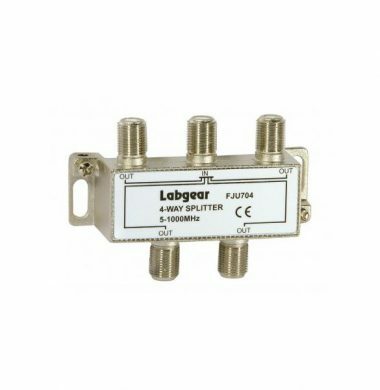 This Labgear FBS402 2 way splitter handles frequencies from 5 to 2400MHz, making it suitable for situations involving undecoded Sky or Freesat signals, for example where you want to have two alternative Sky box locations of which only one will be used at a time. 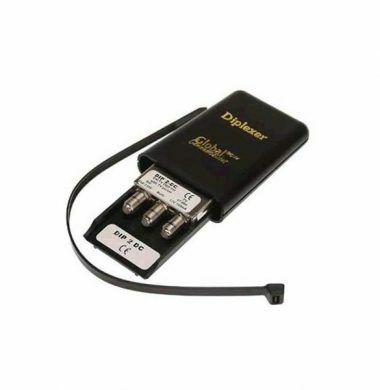 Like the FJU402 this also has DC pass through on both ports but in this case the DC pass is only in one direction – from the two split ports back to the single input port. The FBS402 unit has a 4dB loss between 5 and 40Mhz, rising to 6dB at 2300Mhz. 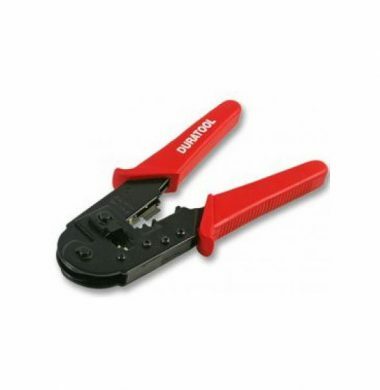 This device is used for splitting and combining satellite quality co-ax cables such as WF100, CT100 or RG6. They are bi-directional for the video signals and so perform two functions. Firstly, they are used to split signals from the external antenna eg FM/DAB from the antenna or UHF from the aerial prior to decoding. Secondly, they can be used for combining decoded ouput from the modulated RF output of a VCR, a digibox or a modulator, prior to becoming the uplink to the distribution amplifier. The FJU407, FJU402, FBS126, FBS138 and FBS402 devices are used for splitting and combining satellite quality co-ax cables such as WF100, CT100 or RG6. They are bi-directional for the video signals and so perform two functions. Firstly, they are used to split signals from the external antenna eg FM/DAB from the antenna or UHF from the aerial prior to decoding. Secondly, they can be used for combining decoded ouput from the modulated RF output of a VCR, a digibox or a modulator, prior to becoming the uplink to the distribution amplifier. The relevance of the various types depends on the application for which you intend to use it. The bandwidth capability needs to be very high (up to 2400MHz) if you are working with satellite signals. In some cases you need to allow a DC electric current from equipment to power devices, eg the satellite LNB device or a remote IR receiver, whilst preventing this current being passed to other equipment, hence some versions have “DC blocking” or uni-directional “power-pass”. All connections require the use of 'F' type fittings on the co-ax cable. 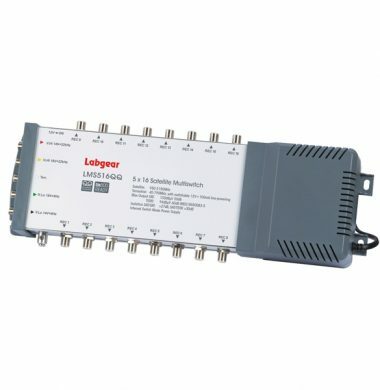 The new Labgear LDL212R is a 12 way Aerial Distribution Amplifier. 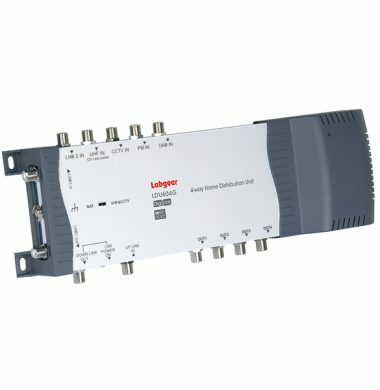 The new LDL212R is 4G/LTE Ready and designed to boost and distribute signals from the RF2 output of a satellite receiver and or terrestrial TV and radio aerial signals. 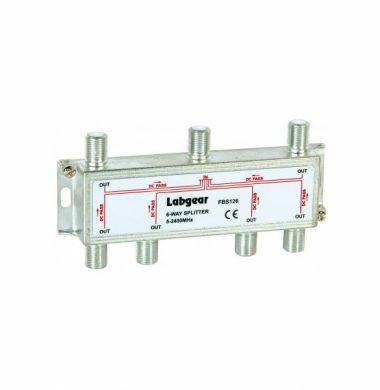 These Labgear LDL216 Aerial Distribution Amplifier work as an aerial amplifier and signal booster designed to increase and improve TV signals to multiple TV points around your home. Even if you are building a larger system you can still have DigiLink channel changing on each of the rooms connected with these professional specification metal case distribution amplifiers. The Labgear LDU604G is designed to distribute any combination of Sky, Sky+, FM, DAB, UHF and CCTV signal around your home and is 4G/LTE Ready. The built-in mode switch optimises the unit according to the requirements – either for systems with a satellite receiver , or those without. This is the replacement for the HDU641G model. In Stock for next day delivery!! 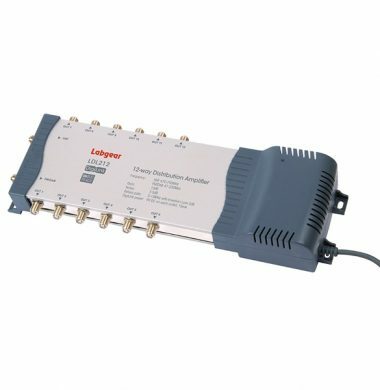 Distribute your satellite TV, UHF TV, VCR and DVD around your home with this Labgear LDU608G distribution. 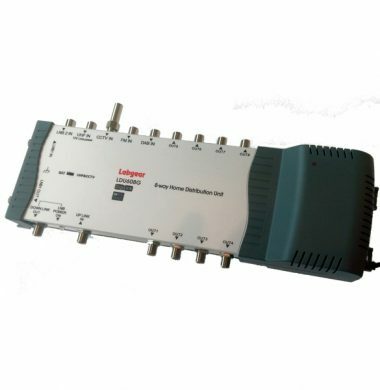 This Labgear LDU608G Home Distribution Amplifier is 4G/LTE Ready. Two versions are available, the LDU608G (previous model HDU681S) and the new Labgear LDU604G (previous model HDU641S). The LDU608G delivers to the main set-top box location plus 8 other outlets, ie 9 in total. 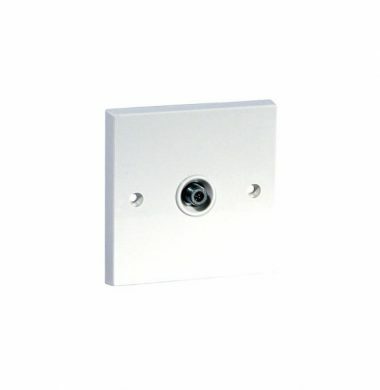 Both have Infra-Red pass through, providing a return path for IR signals in a remote room. This means that with the addition of a HandyLink set, not only can you watch the VCR in a remote room but you can also control it using your existing IR remote control. 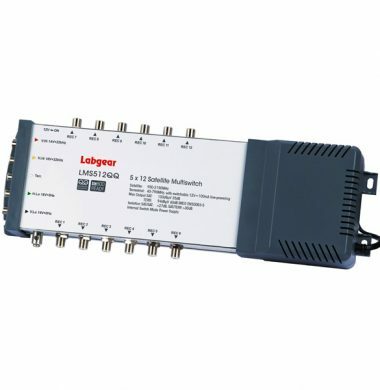 The Labgear LMS512Q multiswitch facilitates the distribution of TV and Satellite signal from one single dish and terrestrial aerial. 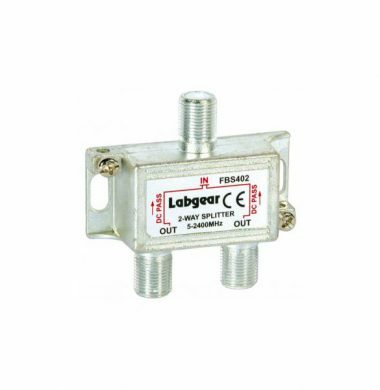 The MOD111 from Labgear is a UHF Mini RF Modulator- PAL-1 /PAL BG, This MOD111 unit allows modulation of CCTV signals, so that they can be easily distributed. 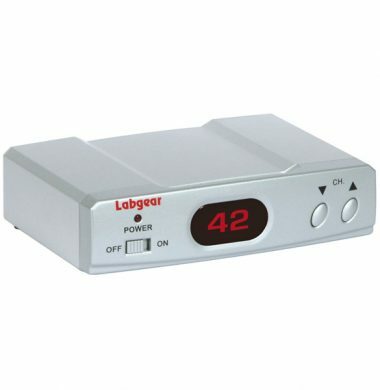 The Labgear MRX110 is the extra room kit for the Labgear MRX120 Handylink IR relay kit. Just connect it in-line in the coax cable behind your TV. Note that you must have non-isolated TV outlets for this system to work.